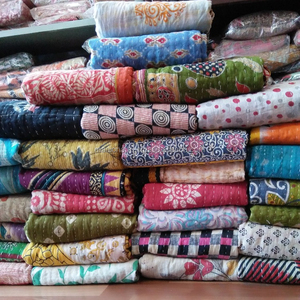 Company Profile We are manufacturer and Trader of Handmade Textile Products and we have wide range of products in this category. We are making great efforts to develop new products and designs to meet different requirements. After dispatching your order you would be given tracking number so then you can track your order anytime then after. Our vision is to spread the quality Indian products to every corner of the world. Yes, you can place sample orders with us to check our service and product quality. Yes, you are most You can visit us, see our production site and settle your queries. 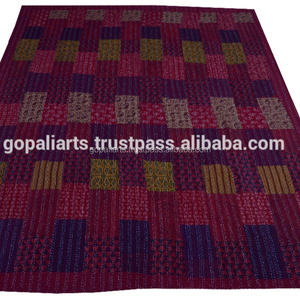 Inspired by original suzanis, but implemented by Indian colour culture, this unique and amazing masterpiece is must have in your space to have a huge splash of colours. Please note:this is fully hand made item and on larger scale, therefore some small imperfections are possible like little visible tracing or little colour run, but it doesn't affect overall appearance. Returns & exchanges I don't accept returns, exchanges or cancellations But please contact me if you have any problems with your order. 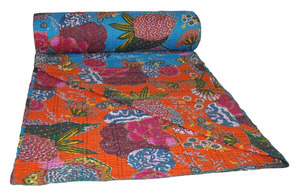 Tags: Indian Cotton Quilt | Vintage Kantha Quilt Recycled Sari Blanket. 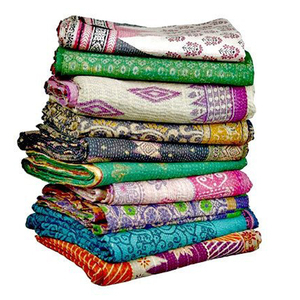 Our Kantha quilts are made from vintage sari's, pieced together and then stitched all over with running stitch. Each one is unique and has different colors and patterns on either side. 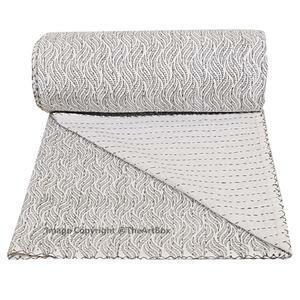 As these are vintage items they may have patches and slight imperfections; we think this is part of their charm. Our quality work's enhances the elegance and excellence of their varieties and creations. Please let us know the quantity and codes of the items so that we can advise a production schedule. The detailed inspection pictures of the order will be sent to you for your confirmation before delivery. We have a dedicated customer care team to assist our customers. 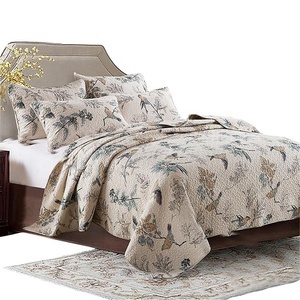 Items only in original condition must be returned within 15 days from the date of delivery. Note: We do not reimburse the shipping cost If you are interested in our products, send us an enquiry. 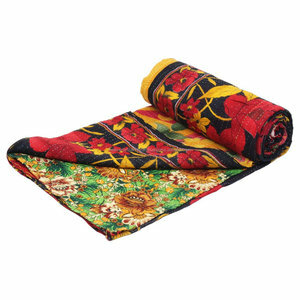 It is reversible & can be used from both sides and both sides have different patterns. 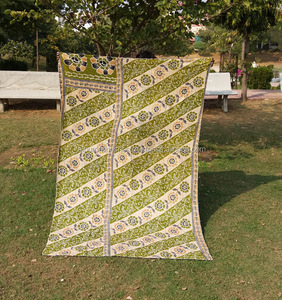 It is made from vintage old cotton saris and softly quilted. 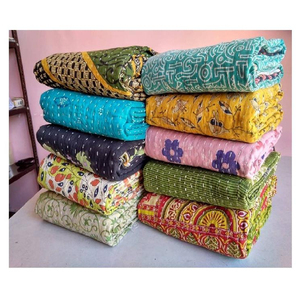 It is kantha embroiderd by artisans in West Bengal.